Maybe we’re just desperately waiting for Spring to finally settle in, shake off the Winter blues and the old coats. The deal categories are a bit different this week because the deals are a bit different. 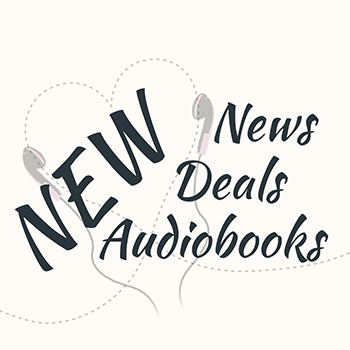 We have several free additions to the audiobook subscriptions. But they are unusually pricy to buy. So I decided to sort by subscription. There are some fantastic narrators and authors in the mix! And also Jacob Morgan as a cowboy. Yeehaw! The RecomMondaytion was the recently released last book in one of my favorite Fantasy Reverse Harem series: Pain (Curse of the Gods). I haven’t listened to it yet but I’m really looking forward to finishing this series now. It’s so good! Last weekend, I posted an updated version of a book list from last year. It contains a bunch of audiobooks that are in the Audible Romance Package, but not Romance. There are some really awesome options from all kinds of genres! Wednesday’s post was a list of audiobooks that are free with Kindle Unlimited and that you have probably heard about before. The Fellowship of the Ring? Hunger Games? Yep, they’re in KU! Crazy, right? Check out these free famous audiobooks! I just got into audiobooks and I’m loving your content! I didn’t know that some books on Kindle unlimited have free Audible narrations! Will definitely be taking advantage if that! Yeah, it’s really pretty cool. And then there are the countless audiobooks that you can buy for $1.99 when you download the Kindle Unlimited ebook.